I didn't expect to be so deeply effected when I spoke to a group of D Parents. I'll be speaking in Santo Domingo, D.N. 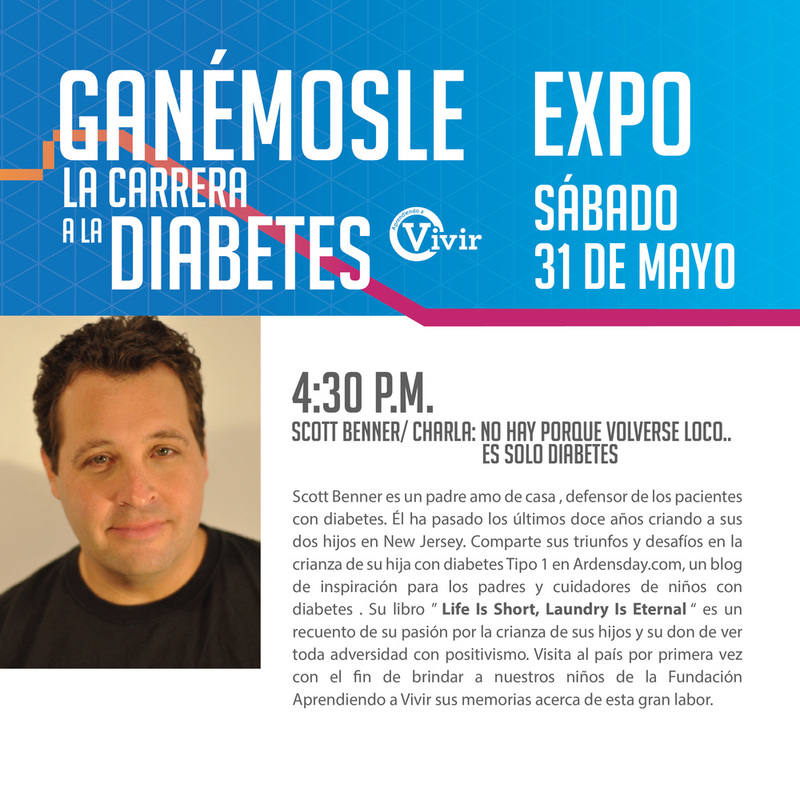 this weekend at the Ganémosle la carrera a la diabetes. In honor of my promise to be as open as possible for Diabetes Awareness Month, I'm going to tell a story that I may not have shared otherwise. Last night I spoke to a lovely group of woman at their Federation Woman's Clubs meeting. I was invited to speak about publishing, my writing process and to tell some stories from my book. The group was wonderful, engaged and we were having a grand time when I said this in the course of a story, "...my daughter Arden was diagnosed with type I diabetes that year". I paused and my first inclination was to say, "No, it's alright... she's doing great" and because of the situation, that's exactly what I did. But it's not "alright", is it? So this post is for anyone that doesn't know what a day in the life of a person living with diabetes is like... This one is for Awareness Month. Insulin is fantastic, insulin keeps my daughter alive. - It's also very dangerous. If a person were to take too much insulin, they could die. My daughter takes insulin between ten and twenty times every twenty-four hours. I think about that constantly. Please understand, I'm not burdened by it most days but the thought is with me always. Imagine if you had to remember to breath or consciously tell your heart to beat... that's what it feels like to love someone or live with, type I diabetes. When I open my eyes in the morning diabetes is my first thought, I think about it when I'm walking to the bathroom at four in the morning, while I'm driving, grocery shopping, watching television, waiting in a line for a movie - when I wash the dishes, take my dog outside... I think about it so much that it feels like I drank a bottle of diabetes and then tried to eat - everything tastes like diabetes. It permeates life. I consider diabetes with every decision that I make. Travel in a car, meals, sleep, I even think about it as Arden says, "I'm going to go get the mail". The mail. I stop and think about where her blood sugar is, before she walks to the street to get our mail - something that takes two minutes. Because, what if that's when we miscalculated her insulin. It has to happen some time, right? No one is perfect and not every carb is created equal, eventually we are going to bolus too much and she is going to experience a low blood glucose. Will that moment merely bring on rapid hunger, will she get dizzy, become disoriented? Will she have a seizure? What if no one is there? I don't know either, so I think about diabetes all of the time in an effort to stay a half of a step ahead of this disease that doesn't seem to follow the same path twice. Yet, when the air left the room I said, "No, it's alright... she's doing great", because Arden is doing great - but I just wish that everyone knew what that meant, in our terms. I want to say hello to those of you who are finding this post via a Facebook share and invite you to follow Arden's Day on Facebook. (Hi to everyone else too and thank you for making this post and Arden's Day so successful! ).